Built in 1873 for use as a farmer’s lodge, the Village Theatre has been used as a Grange Hall, movie theatre, and church. 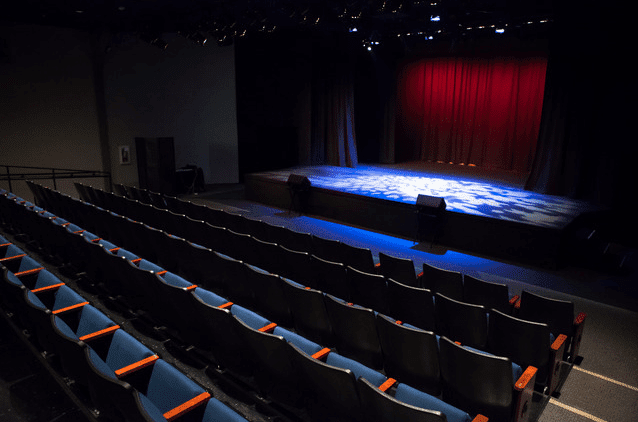 Recognized as a historic site by the Heritage Resource Commission, the Village Theatre now serves as a performing arts theatre with a fine arts gallery located in the lobby area. Seating capacity in the theatre is 245 and includes a stage, dressing rooms, and light and sound systems. In 2009, the Village Theatre was renovated and the lobby expanded to include an art gallery which hosts quality art exhibits and receptions.